Academy of Pastry Arts, an esteemed group of Professional Culinary & Pastry Schools, has conducted ‘Baking for Smiles’ session at Dream Girl Foundation, Gurgaon. 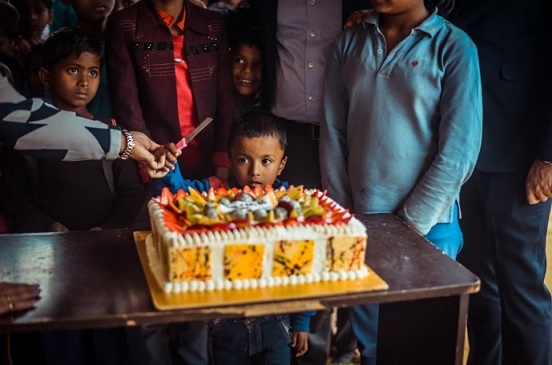 The session led by Mr. Dinesh Sharma, Director, Academy of Pastry Arts, along with his team of pâtissier, treated the underprivileged kids with pastries and other delectable Holi food items like Gujia. Dream Girl Foundation is one of the eminent non-profit organizations engaged in providing a better future for the underprivileged children. With its Pan-Asia presence in Malaysia, Philippines, Indonesia, Delhi NCR, Mumbai and Bangalore, Academy of Pastry Arts’ journey started in 2010 with the flagship school in Malaysia and now, the company is growing exponentially with plans to be in Dubai. The academy uses cutting edge technology, mixed with ingenious techniques, specifically designed to teach the art, science and techniques of creating good food and methods needed to excel in the food industry. Academy of Pastry Arts is an esteemed group of Professional Culinary & Pastry Schools with Pan-Asia presence in Malaysia, the Philippines, Indonesia, Delhi NCR, Mumbai and Bangalore. They started with their flagship school in Malaysia in 2010 and now, the company is growing exponentially with plans to be in Dubai. The academy uses cutting edge technology, mixed with ingenious techniques, specifically designed to teach the art, science and techniques of creating good food and methods needed to excel in the food industry. They offer one-on-one attention to the students and the largest number of Guest Master Chefs spanning the level of MOF, World Champions, Master Chocolatiers and Master Bakers.